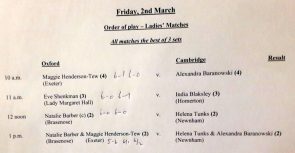 Not going Cambridge’s way in the Ladies Varsity but our team are at a serious handicap disadvantage. 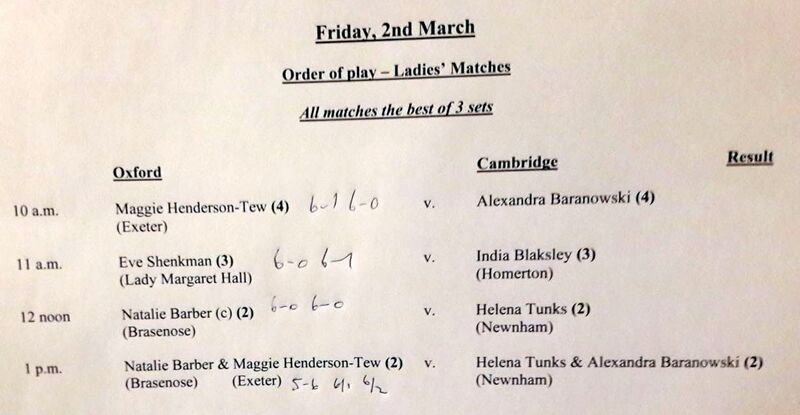 Kudos to Helena & Alexandra who grab a set in the 2nd Doubles! 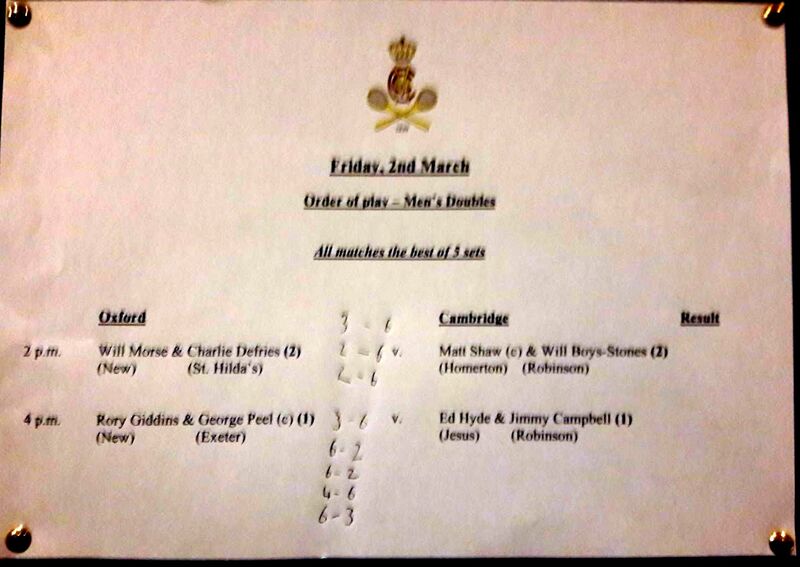 1-All in the Men’s after the Doubles. 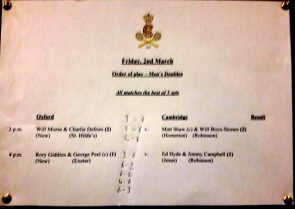 Well played Matt & Will who take the second Doubles in 3 sets! 1st Doubles goes to the other place, 6-4 in the 5th….